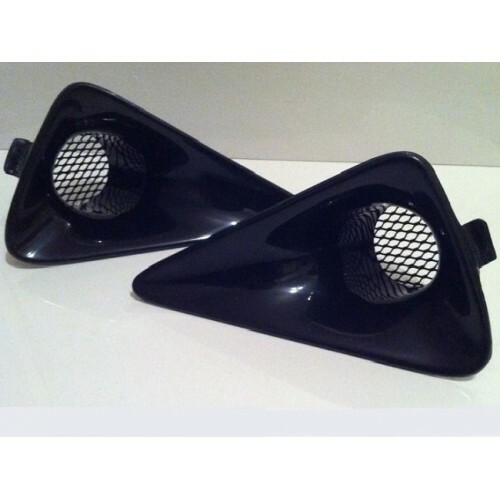 FiberWorx own FX bumper air intake scoops (pair supplied) manufactured in high quality fibreglass with a black gel coat finish. The scoops are a bolt in fitment. (Mesh not supplied).